Mother - Bone China 4" Mug / Cup Inspirational Gifts. Friendship - Bone China 4" Mug / Cup Inspirational Gifts. Bone China Cup with Serenity Prayer Inspirational Gifts. 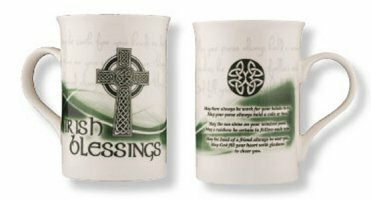 Irish Blessing - Bone China 4" Mug / Cup Inspirational Gifts.